﻿ Coral Resort, Koh Chang | FROM $32 - SAVE ON AGODA! "A good location right on the beach and near some good bars a..."
Have a question for Coral Resort? "We enjoyed our stay and would definitely go back." "(family) room with sea view, which was really nice." "on the plus side the hotel has an amazing pool." Designed for both business and leisure travel, Coral Resort is ideally situated in Kai Bae Beach; one of the city's most popular locales. From here, guests can enjoy easy access to all that the lively city has to offer. A well-kempt environment and its proximity to P.N.N. Beauty Home Spa, K.B. Restaurant, Papa Pizza Restaurant give to this hotel a special charm. 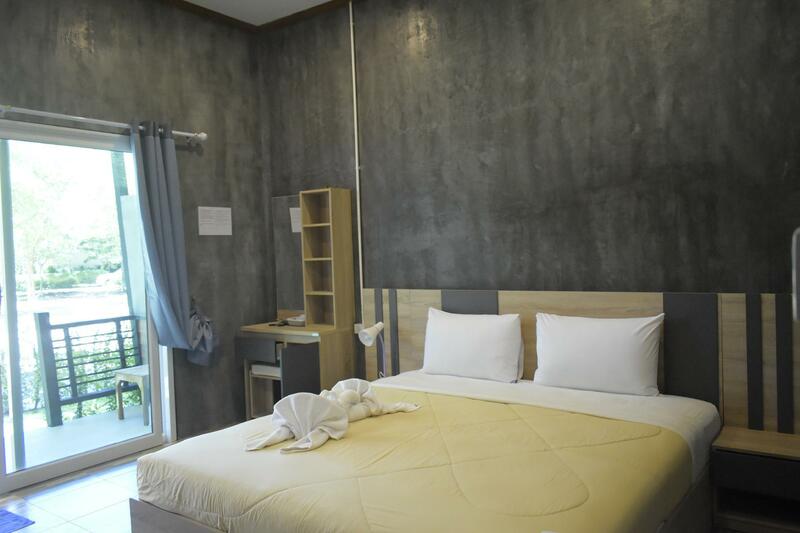 Coral Resort also offers many facilities to enrich your stay in Koh Chang. The hotel offers access to a vast array of services, including free Wi-Fi in all rooms, Wi-Fi in public areas, car park, restaurant, tours. Hotel accommodations have been carefully appointed to the highest degree of comfort and convenience. In some of the rooms, guests can find internet access – wireless, internet access – wireless (complimentary), non smoking rooms, air conditioning, desk. Throughout the day you can enjoy the relaxing atmosphere of the outdoor pool, pool (kids), garden, water sports (non-motorized). Coral Resort is an ideal place of stay for travelers seeking charm, comfort and convenience in Koh Chang. Friendly, efficient and very responsive staff. Rooms and bungalows clean and well maintained. Superb large pool with many sunbeds. At 200m of access to a beach. Close to restaurants and shops. We will come back. the coral resort is located on the beachfront and within a short walk to the local shops .It has a swimming pool that is probably better than the beach that is close by .The resort hires out motorcycles that allow you to explore the island at a reasonable cost .There are many bars and places to eat nearby .The rooms are clean and modern and a reasonable size . We spent all in all 25 days at Coral Resort First 14 days we had a lovely little unit “House with view beside”. Very spacious and we just loved the veranda rhat was almost as big as the inside of the unit. You could walk about 45 seconds down to the sea and enjoy the astonishing sunset. The remaining 11 days we moved to a “Seafront superior deluxe room” situated just in front of the ocean. This unit was not as spacious as the first one and a little bit aged that made itlook a little bit ay downed. A minor ant problem when we checked in and two cockroaches inside the room. Lovley view off course but we liked the first unit better because of the veranda. Every morning a breakfast buffet was served at the restaurant/reception witch was fresh and varied. Excellent staff as well who was in charge. A pool area is also connected to the resort with its own restaurant and bar. The sunbed needs to be upgraded though. Coral is situated very close to the main road at Kae Bae Beach. Oké I must say the dekchairs matrasses are in need of renewal! And true there is no beach acces. But oh my God,the pool is great. The garden is nicely tended, the breakfast is included and not the grand luxe but it is certainly good enough as it is included in the price...the breakfast area is right next to the water and enjoyable. The rooms-we had a waterfront bungalow- is nice and clean and private. Clean sheets.. for me the pillow was too stiff and felt like a brick,but thats the only thing I would say is not good. The resort has a private entrance,there is no traffic passing through. I would go there again because of its central but quiet location and the great swimming pool. If you don't like the breakfast you can always go to the German bakery PAPA'S on the main road. If you are a coffee fan this is the place to go. The coffee in Coral Resort is NOT good. We had the garden cottage room which was a little way from the pool but very new and clean. The property was well maintained. Some afternoons there were noisy groups near the pool but probably common for kaibae area. 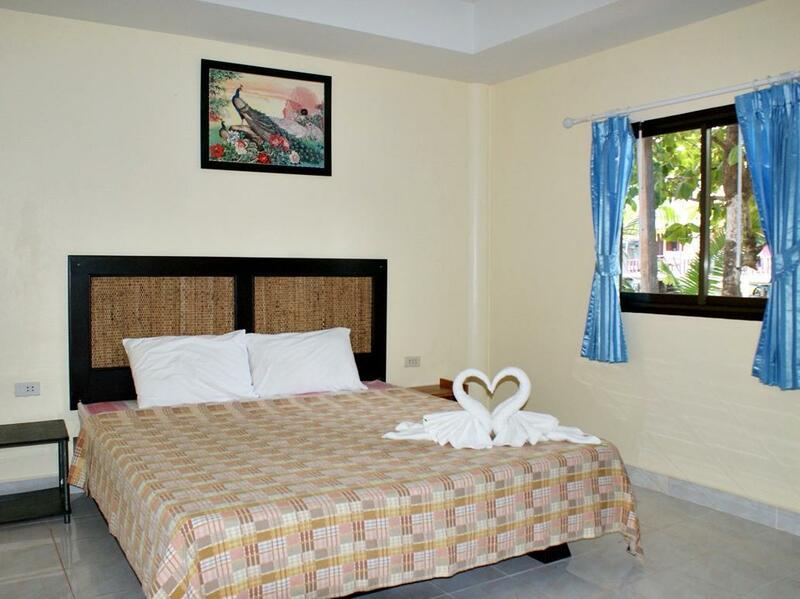 Convenient to restaurants and short stroll to beach. Only negative was the bed and pillows were a bit uncomfortable. The pool overlooking the sea is probably the best thing about this place, as the Kai Bae beach is a couple of hundred meter walk away. It's easy to walk to the road and restaurants and they have many different room options and prices. If you prefer a pool to the beach, it's a great place to stay. I gave it 4 stars for location because of the walk to the beach. Great spot. Pool lovely. Lots of places to eat within 5 min walk. Would come here again. We hired a car in Pattaya and drove to Trat and caught ferry across. This worked out great as we got to see a lot of the island. Island much bigger than I anticipated. Lovely pool area. Staff very friendly. Would love to have spent more time here. Lots of places to eat in the area. We hired a car and found this really useful to get to some of the different little towns. Willcome back again! Nice room near the beach, but not for swimming because of big stones. 5 min. from the place to the nearest beach. Breakfast OK. I stayed in a 'Garden Cottage', more like a swamp when it rains! I was very disappointed with this accommodation, clean enough if you are desperate for a room however do not expect a resort type atmosphere. Swimming pool - empty Wifi - struggled to steam long enough to book another hotel... shocking Staff - in bed/shut down by 8pm Restaurant - closed Cleaning - non existent, had to demand that my room be cleaned Foxtel TV - worked one night out of two Safety - nearly broke my neck on front steps when raining, beware very slippery Pillows - huge, not comfortable I would expect the sea front (no beach) cabins too be far better than the room I stayed in however there is far better value on the island from my experience...I have been here 8 days and started down south slowly working my way north to 'White Sand Beach' and have enjoyed everywhere else that I have stayed! Very pleasant hotel. It is a bit distant from the road, but everything is within walking distance. The views are beautiful. The territory is pleasant - in the evening you can sit on the veranda. There is no access to the sea - the beach in five minutes walk. The pool was very nice, but the cleaning system did not work properly - a lot of dust on the surface of the water. We liked the breakfasts - everything was delicious, every day there was something new. The rooms were clean, cleaning every day with a change of towels + towels for the pool. The air conditioner worked. Staff was very friendly. Very relaxing stay. Beach is 200m from the resort. Pool is nice and clean. The staff is very friendly and always willing to help. All is nearby, the streetfoods, Seven Eleven, Bars, Restaurants, Massage Service. Lonely Beach is 10 Minutes with the taxi, White Sand Beach 15 minutes with the taxi. Cheap transfer. Want to come again. Great location right on the water, although a bit of a walk to the beach. Plenty of good restaurants and bars within a short walking distance (main street)....great pool & decent breakfast! Hotel was in nice location . First night after long bus ride we were tired . About 7 pm they started karaoke in the restaurant. Wife went up , they said normally they don't have karaoke and it would stop at 11 . They moved us to another room away from the noise . Next morning they came and told us we had to move back to the other room or charge us more than double . We moved back . Wasn't that big of a deal , we booked 10 nights stayed 7 and left for another island . Breakfast was good days they had many quests , changed everyday . Staff friendly and helpful . Pool very clean . If I were going back to Ko Chang I d stay there again . For the price it was ok .. The resort is in a good position, the view is awesome, my room was super ok in front of the sea, the buffet was good enough with some choices for every taste. The pool is in a perfect position, maybe needs a little bit more cleaning and the beach loungers lool tired. The restourant is amazing, good food and drinks, stunning view. The staff was kind and helpful, at the reception we booked a day tour snorkeling in 4 island and it was very beautiful, dont miss out!